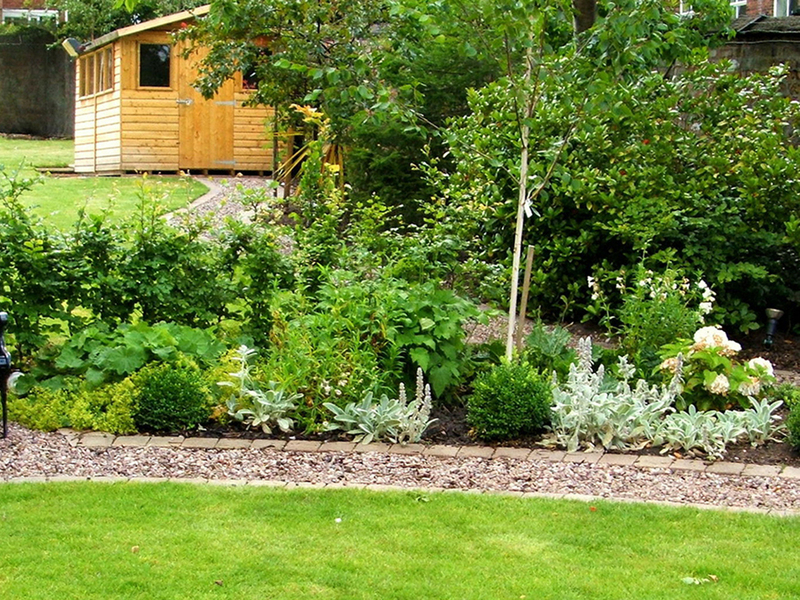 Cottage planting is mostly known as a typical English planting style. Gertrude Jekyll once perfected what we know today as a romantic Cottage Garden. Combining hardy herbaceous perennials, shrubs, roses, fruit and vegetables achieves a cottage planting scheme. Contrasted textures, forms and colours create the naturalistic effect. Most herbaceous plants have their peak in summer and die down in winter. As there are not a lot of evergreens used there is just a little appearance during the winter months. 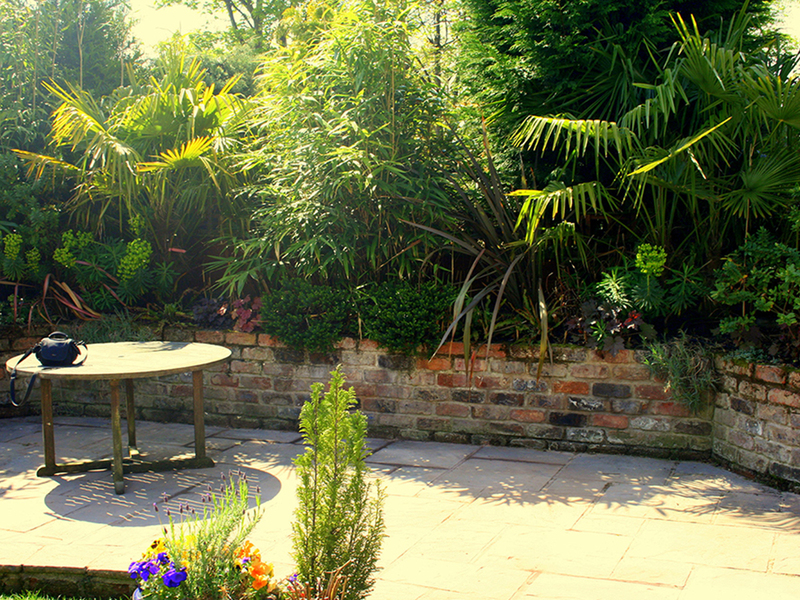 Cottage planting schemes need a lot of planning and maintenance. 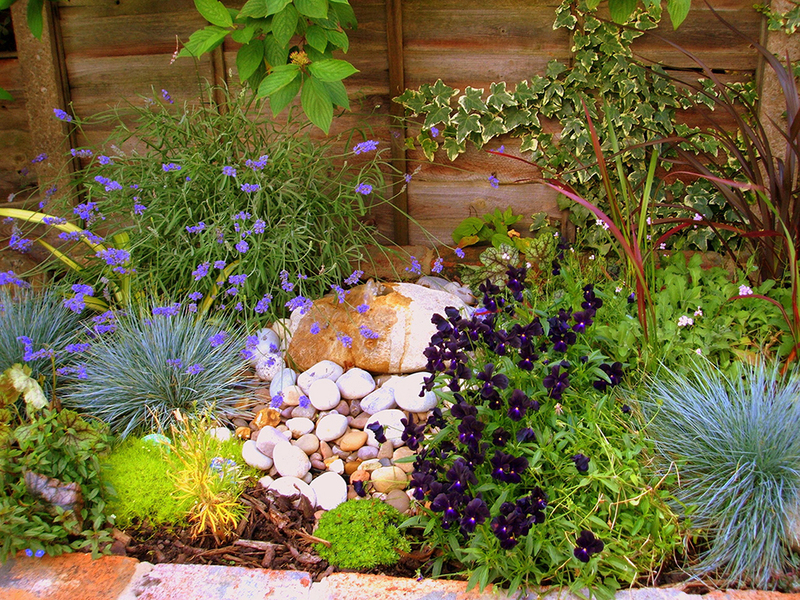 A big plus of this design is that there are a lot of different plant varieties and favourite plants can be easily involved into the planting scheme. In a naturalistic planting scheme it is important to use mostly native species set out in random groups. It should reflect how plants grow in nature. Plants with structural foliage provide a permanent framework, grasses add texture and form, and upright plants add focal points. Plants are allowed to self-seed and intermingle. Dried flower heads and grasses are left over the winter to give it a special look in winter. 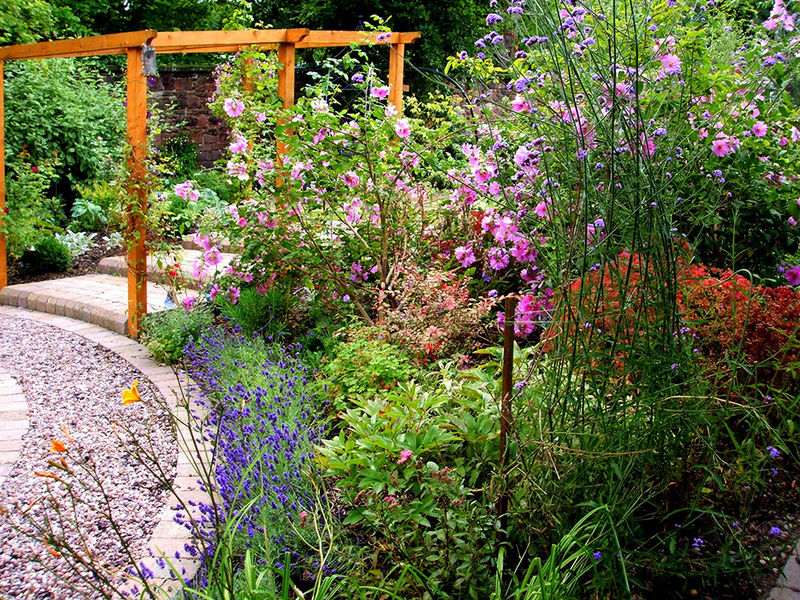 Due to the natural growing allowance of plants the maintenance level for naturalistic garden schemes is low.